S/Sgt. 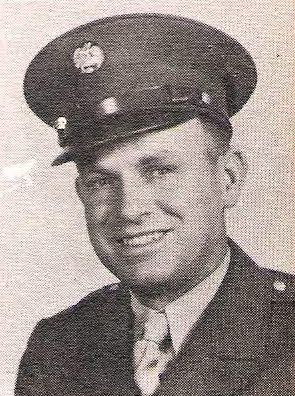 Walter L. Richardson, Newcastle, husband of Wynona Wooldridge, graduate of Elbert High. Entered Army, 1942, trained at Camp Bowie, Texas, Camp Shelby, Miss. and Camp Pickett, Va. Served in New Guinea, Netherlands, E. Indies and Philippines. Awarded GCM, APO with 3 Battle Stars, Phil. Lib. with 1 Star, Bronze Arrowhea and Combat Inf. Badge. Discharged in 1945.